Volkan Baga uses non-digital methods to create his art, generally oil on board. This gives his art a classic look that makes even the more mundane cards stand out. 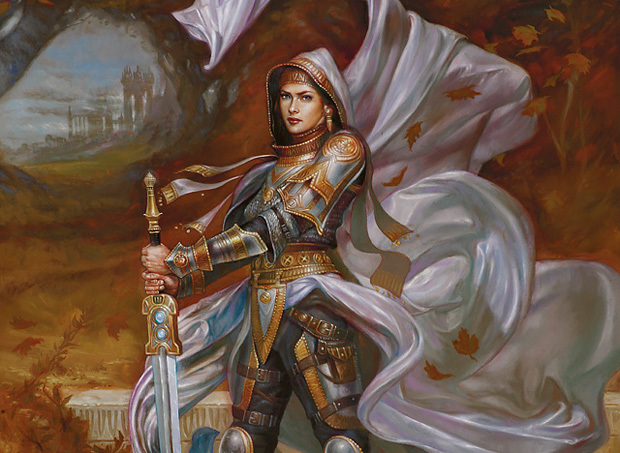 This arresting image of the planeswalker Elspeth has been used as the cover for a book on Baga’s art, so I’m not the only one impressed by it. 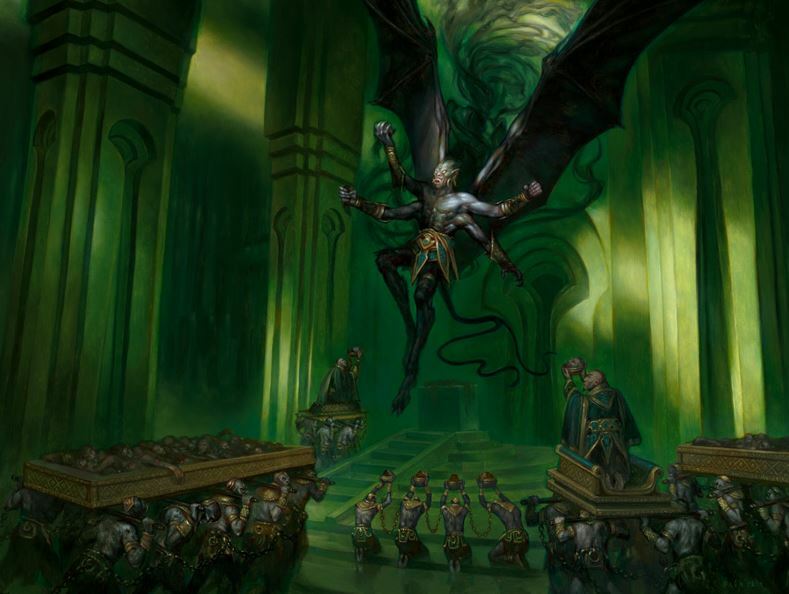 Crowd scenes are rare in Volkan Baga’s magic art, so this demon above his worshippers is an extra treat. Oil paints and a eye for classic art composition make this art something to remember. 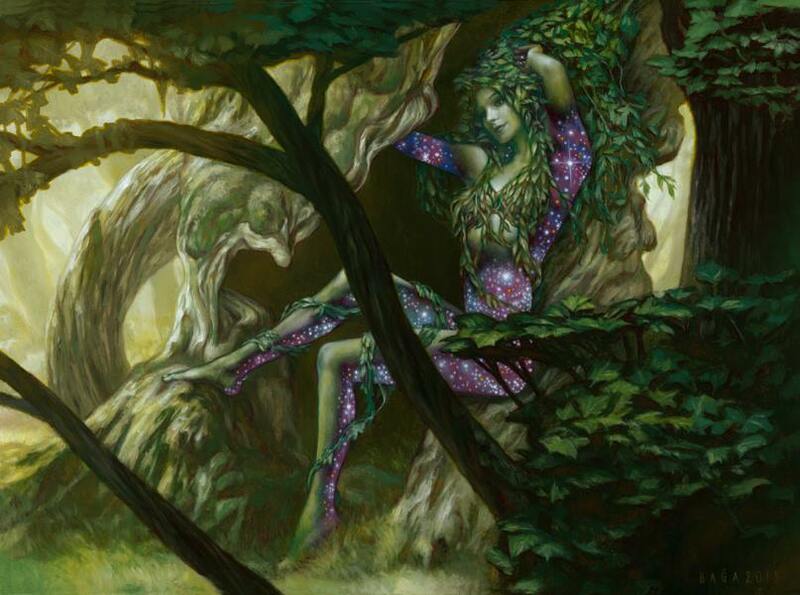 This creature from Theros features the starfield motif that marks all enchantment creatures in that realm. A great character art for one of Magic’s totemic characters. 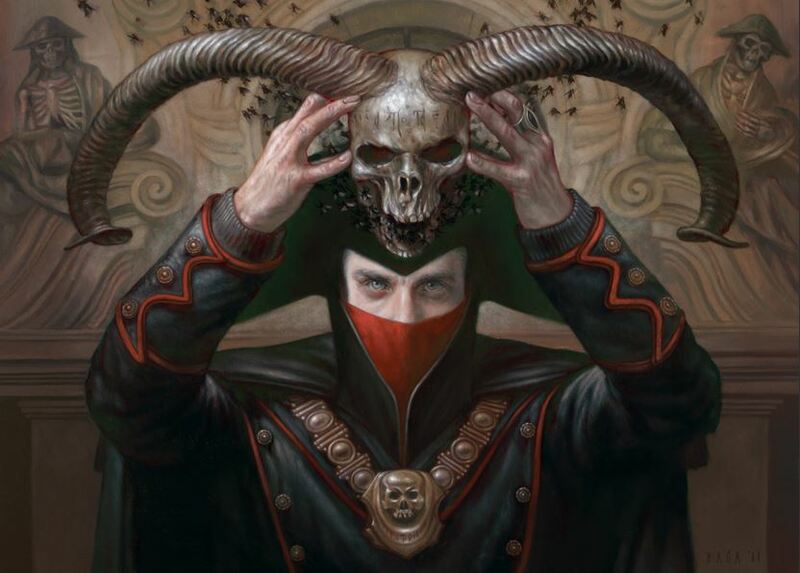 You can see all cards illustrated by Volkan Baga, or else visit the artist’s website. 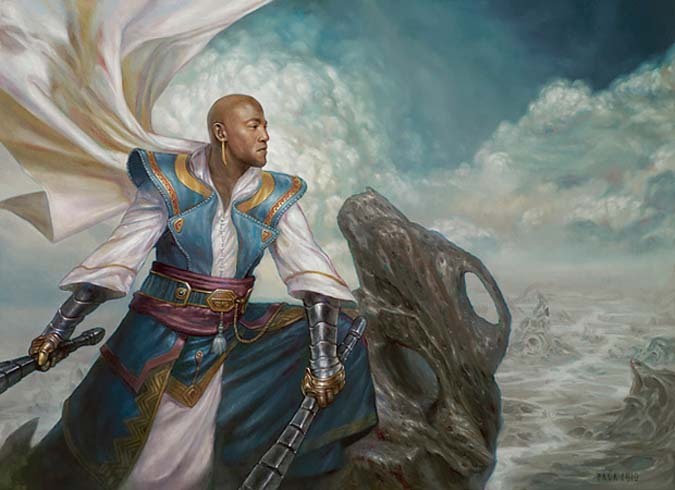 This entry was posted on September 19, 2015 by davekay in Art, MtG Artists and tagged art, artist, fantasy, magic, magic the gathering, mtg, volkan baga.